Completed the Mapping Task of the entire 10,4 million ha Araguaia Corridor Zone thanks to our partner World Resources Institute (Brasil). Completed the Biodiversity Planning of over 6,000 ha. Expanded our community of restoration & mapping partners in Brazil. Constructed two nurseries for native trees and started our restoration work on the ground. The planting has started! There are so many more milestones to share with you! That’s why we created a photo collage to get an impression. Our Jaguar family is now complete! The award-winning sculptor Chris Tap has done it again! 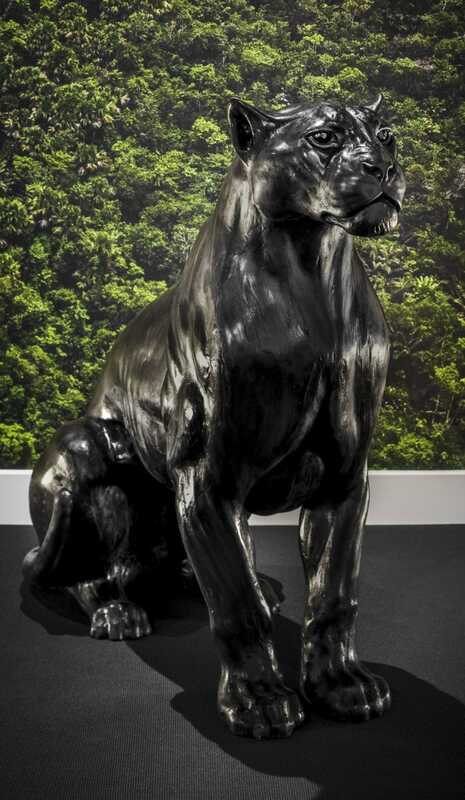 After 9 months of incredible dedication and craftsmanship, Chris has completed a Life-Sized sculpture of the majestic Black Jaguar as a gift to BJF’s exclusive sponsor-partners. The first seven of these magnificent sculptures are already being showcased in the reception halls of our exclusive sponsors, serving as a wonderful symbol of their positive involvement. 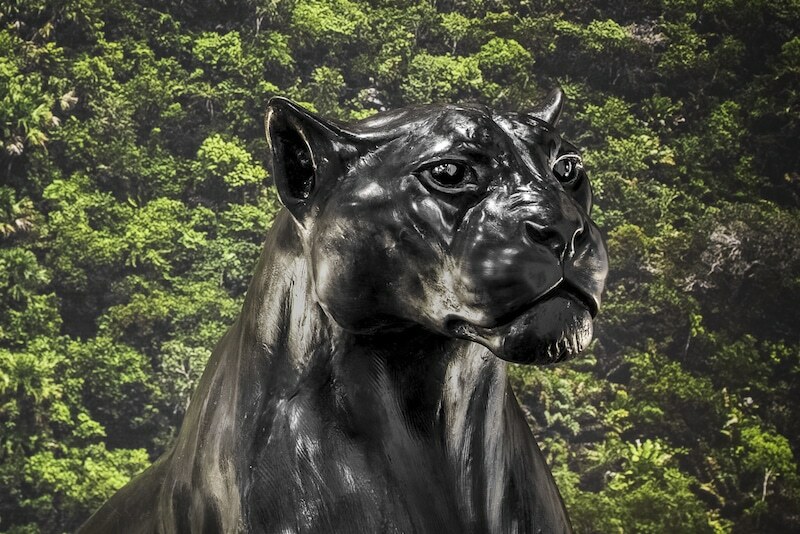 The life-sized jaguar is the fourth and final statue to complete our happy family of four, ranging from smaller statues of just the jaguar head up to this full form. The statue is available for our Diamond Friends within our corporate package. 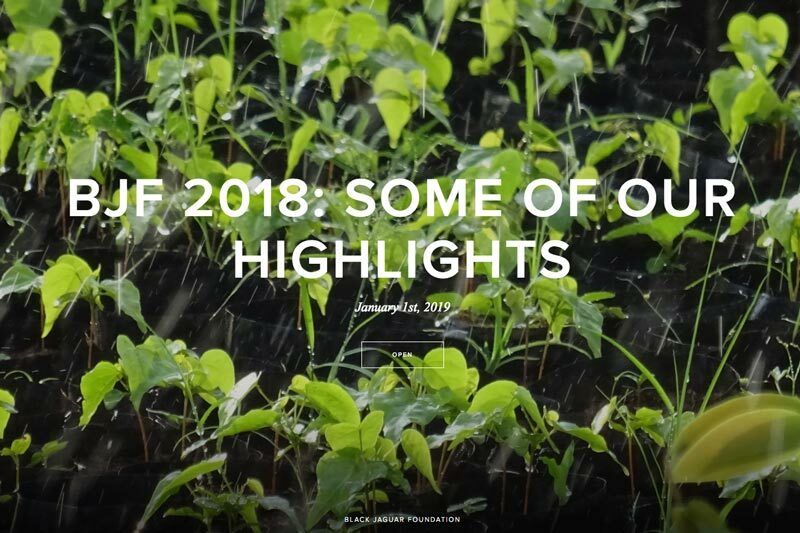 When you receive a life-sized statue, you will also receive a personalized brochure, outlining a tailor-made explanation of how your company became part of one of the largest reforestation projects on earth. Together, the statue and the brochure serve as an amazing way to capture interest about the BFJ and the positive involvement our Diamond friends engage with our mission. Are you also interested in becoming an exclusive BJF partner and receiving your very own Life-Size Jaguar Sculpture? Please write to us at partners@black-jaguar.org.